You must make reservations at least 5 minutes in advance of the time at 703 bar + kitchen. 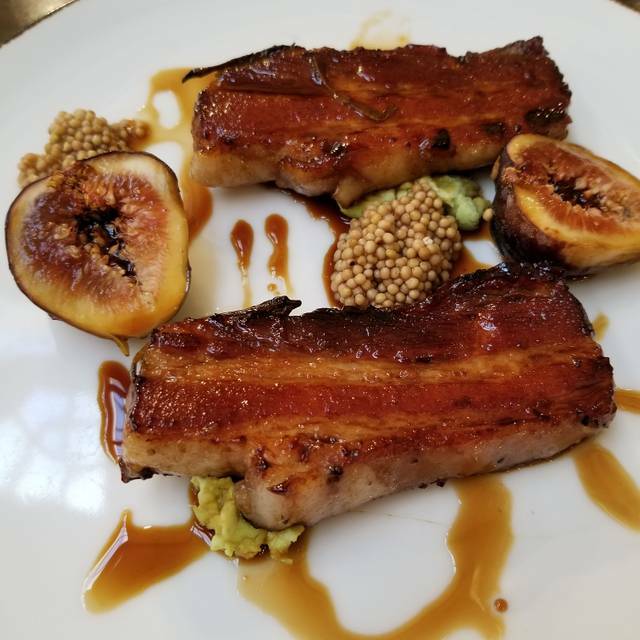 We are a contemporary American restaurant featuring Chef-crafted interpretations of dishes from the Southeast United States. We take great pride in our scratch cooked menu featuring the best produce, seafood, and dairy Northern Virginia has to offer…so much so that we incorporated our area code into our restaurant name. 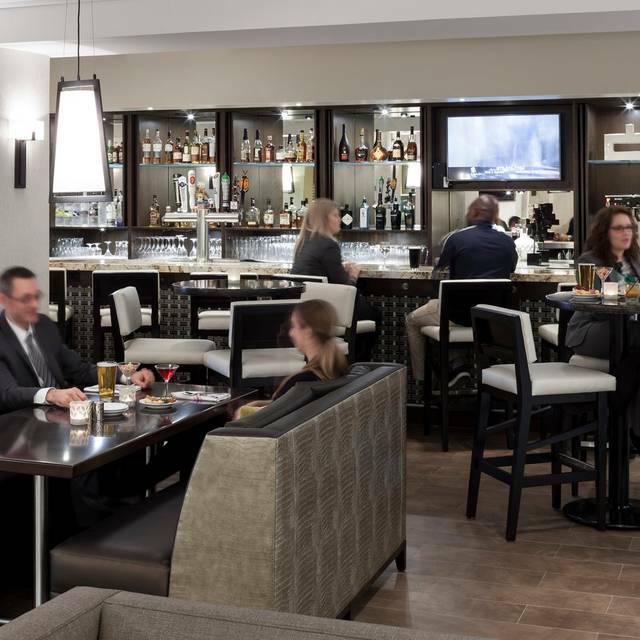 Our bar features creative craft cocktails, six local beers on a rotating tap, and an extensive wine selection. Bourbon Certified bartenders deliver education and recommendations for both experienced bourbon aficionados and novices alike. I made a reservation at 10:30am for the Easter Brunch for my family after seeing this restaurant receiving strong reviews - thought it would be fun to try something new. We were all disappointed by the whole experience. I find their website very misleading: they present the establishment as a modern bistro, but in reality it is actually a vinyl-upholstered Marriott hotel restaurant. They are trying to be adventurous with the menu, but the wait staff is utterly unprepared to answer the most basic questions about the menu. 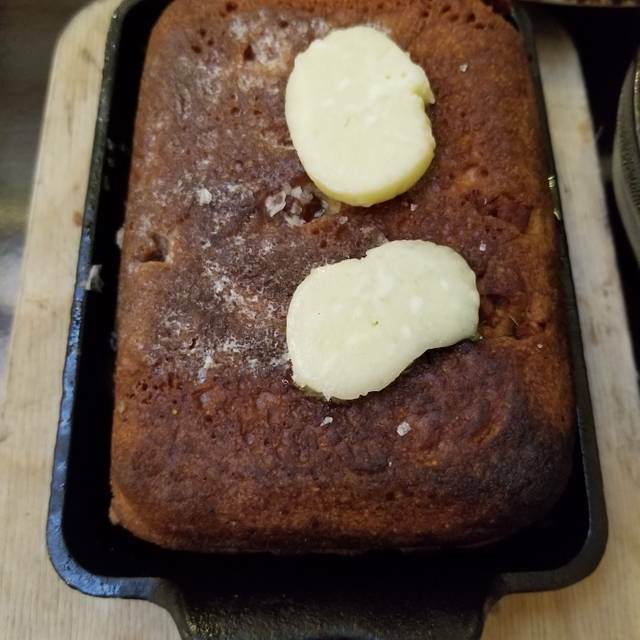 They were offering only a pre fixe menu at roughly $40 @ person including coffee and orange juice (no mimosas or bloody mary's), and then didn't have all the foods prepared (notably the desserts) available for us to enjoy. 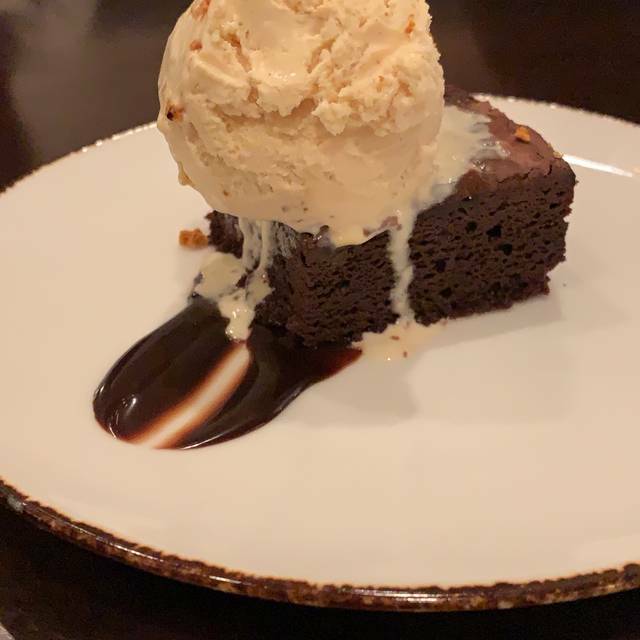 They offered no apology or discount on our meal, in fact, when I asked about the menu which included dessert options including cheese cake, bread pudding, peach cobbler, etc, the wait staff told us that the reason there were no desserts was because we had come so early. I found this puzzling because we were right on-time with both a typical "brunch", our 10:30 am reservation, and certainly well after their Easter brunch menu and business hours were established. It was really a disappointing experience and I would never go back. We would have been happier at a local diner. Very unassuming place for the location, very nice greeting and solid service. We were the 2nd table of the night(4of us). Menu was explained thorough and had alot of options. Steak was tasty but it jad that vein in it. Salmon was over-cooked, out of a few desserts. Hansel is awesome at the bar! The food is superb, as usual. We will so be back. Food was amazing! Our server was Anthony and he was one of the best I've had. Smart, funny and informative. Definitely recommend and will return soon! Service was great and food was delicious. My wife and I shared the lobster risotto, mac and cheese and the salmon. We were pleased with all three dishes. The complimentary bread was amazing and the beverage selection was exceptional. My wife ordered a peach martini and I ordered one of the bourbon flights. Would definitely recommend to friends. Our daughter suggested this restaurant for a weekend dinner. Everyone was pleasantly surprised. I had a peach vodka martini. Never having this drink before, I can't compare it, but it was delicious. My husband was amazed with all the whiskey offerings. The bartender is quite knowledgeable. Now my husband is thinking of suggesting this venue for an afterwork gettogether. The food is served in small plates, half-sized, and full size dishes. If you have a smaller appetite, that is nice to know. Our daughter had the burger and fries. She thoroughly enjoyed it and had enough food to take home for another meal. I had the Caesar salad and lobster risotto. My husband had the tagliatelle. Although I can not have chocolate for dessert at dinner, do have the ice cream. It is delicious with sorbet and ice cream available in many flavors. Food creatively prepared. Varied selection to suit all tastes. Our server was outstanding! Absolutely loved the food tried about everything and the service was great!! Our waitress was very attentive! Would recommend and go back! Thanks food was delicious but the portions we're tiny even for being small plates. The drinks were good so please note the bartender knows what they are doing. I just felt the meal was very over priced for the quality/quantity of food. The Brisket sandwich was delicious and filling though. I really would not recommend for any sort of special event as it's more a fancy hotel bar than a fine restaurant. Food was horrible. Went for breakfast Christmas morning. Buffet was cold. Ordered from the menu. Order was wrong. What did come to the table was not good. Left and ate at Starbucks!! Surprisingly good bourbon and whiskey selection. 703 continues to impress. Flavorful renditions of Southern favorites made with local ingredients and finished with the chef's unique touch. It's not a cheap meal or a quick meal, but it's a very good meal. The Service was AMAZING, thank you Tony! 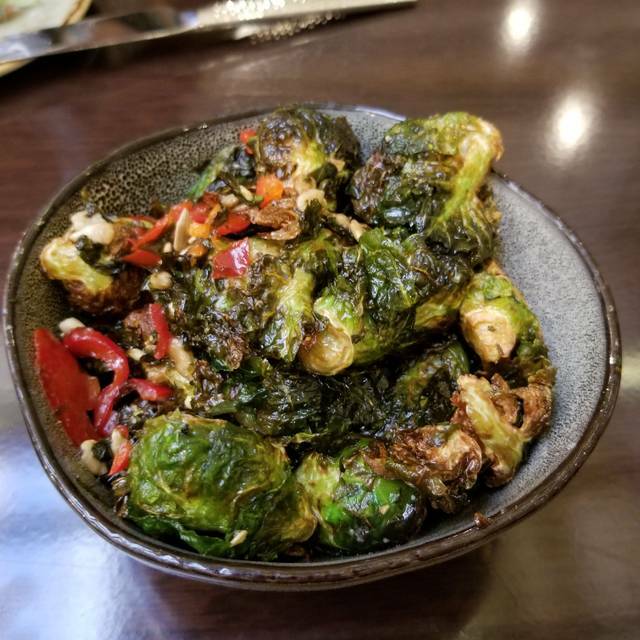 The Brussels Sprouts were fantastic, the Beet salad was good, though it was a bit light on the goat cheese and our was missing the acid, the squash mac and cheese was delightful, the bologanse was tasty, the oysters were good. We would suggest avoiding the the scallops; while they were impressively large, they were gritty, seared poorly, and on a bed of sauteed spinach and roasted squash that did not go pair flavor wise or textually with scallops. Also, the skin on the salmon was disappointing. All that said, the real problem is the restaurant's location; it is located on the first floor of a hotel, in the parking lot of a decrepit looking mall. 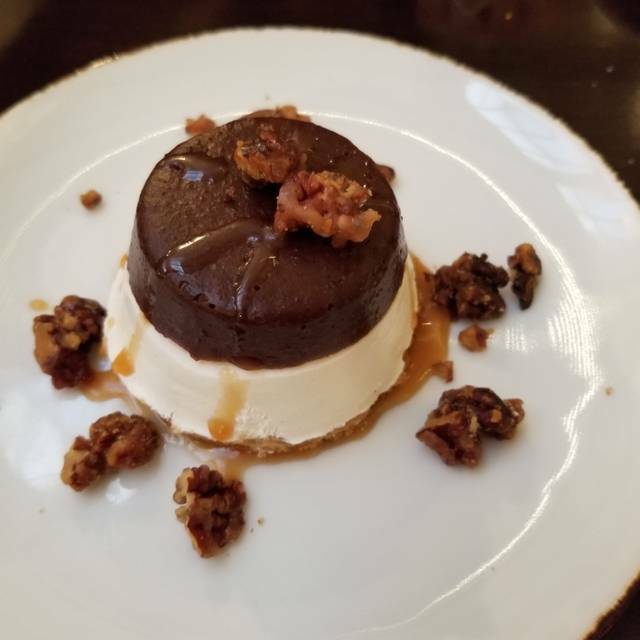 It is really strange to take a date to a hotel for dinner.... Other than that, it was a very good dining experience and we suggest people give this place a shot! This restaurant, with very good food, very good drinks, and very good service, is smack in the middle of a hotel lobby. It was highly reviewed on Yelp, so we went for a belated birthday dinner, only to be surrounded by a high school reunion as well as actual high schoolers. The chef, bartender, and wait staff should all decamp en masse to somewhere without florescent lighting and literal busloads of tourists. We were looking for a late night option for our date night. Every item we were ordered was fantastic! Our server was great. My husband enjoyed his cocktail. We will definitely be back soon. My husband & I were in the area because he was having minor surgery at Inova Fair Oaks. I decided it would be best to spend the night & made a reservation at the Marriott. After reading the rave reviews online about 703, we decided why go elsewhere, especially since it was so convenient. It happened to be Restaurant Week, so they were charging a special price for the small plates-3 plates for $35. We opted for that & were very glad we did since we were able to share among the 6 plates. The chef came out & brought homemade tater tots with fish roe on top & the best buttermilk biscuits I think we have ever had! All the food was amazing & the combinations were well thought out. I must also mention that the wait staff was well-trained & helpful. We had a very engaging server named Cristian who just added to our enjoyment. We would not hesitate to eat there again if we happen to be in the area. First time visit so not so sure of “small plate” concept. What a surprise. This is not a place to eat quickly. You will need time to “dine “as items are prepared for you- not coming from mass production kitchen. And time to enjoy the company of dining companions! How novel! They will be participating in restaurant week in August. Give it a try. Great service. Food was good. My husband and I went for breakfast at 9am Saturday. I loved that it was nice and quiet! They have a brunch buffet for $18pp and a la carte menu. We ordered pork hash and biscuits and gravy. Both were excellent. Service was friendly and well paced. Ambiance was nice. I recommend it! We were the only ones there for a mid week lunch. They were out of a few menu items that we ordered and then didn’t have. Comped one meal because of it. Did offer a free dessert bite. I took my wife and daughter for Mother’s day brunch. Service was terrible, we had to wait more than 10 minutes until the server finally approached our table and were greeted by “Are you ready to order?”. It was a special Mother’s Day brunch menu that included an assortment of pastries, which I had to ask for it as it wasn’t delivered. When the food areived, the eggs were served raw and we had to send it back. Overall terrible experience and not worth the $28 per person special menu. The was definitely a sleeper, once you get over the fact its inside a hotel and start eating the food. You will be blown away. Really good food. The chef and staff are nice and courteous. I am telling my friends. Had a wonderful time at 703! The cuisine was inspired and delicious. Our server was knowledgeable and friendly, and attentive without being intrusive. We'll be back! The food was excellent! The chef is friendly and enjoys sharing his knowedge of foods, especially locally grown sources. I highly recommend 703 Bar and Kitchen! I was a little surprised to find the restaurant was in the hotel, and it was difficult to find based on the complete lack of signage (and poor google maps directions). Upon my arrival there wasn’t a host or waiter in sight for a solid 5 minutes despite my having reservations, and they frequently disappeared for 5-10 minutes at a time. That being said when they were around they were friendly and attentive. While the food was pretty good it was unnecessarily greasy. I was also able to hear every word at every table in the restaurant - it may have been because I went during an odd time and it wasn’t crowded, but it was a little annoying. Not sure I will return. Was great food and a low key atmosphere. Quiet place. We tried the meat... so tiny. And comes alone. Very disappointed. The kids meal was the double size than ours. The pork good, the beans so salty. They have to change them. Went there for Valentine's Day. In addition to their regular menu, they had a prix fixe three-course dinner for $50. It started with a glass of Prosecco and an amuse bouche. When I asked, I was told the amuse bouche was a scallop dish. I informed the server that my wife couldn't eat scallops, and he brought her a substitute. Very accommodating. There was a choice of three appetizers, three entrees, and two desserts. The choices for each course were good. The dessert was decadent. The service, considering they were understaffed, was very good. The hostess and a manager had to double up as servers and cleaners. Two plates from our appetizers were never taken away. They did not have a lot of reservations, but ended up with a lot of walk-ins from both the hotel (they are in a Marriott) and from the outside. By the time we left, almost every table was filled as were most of the seats in the bar area. We lucked out because we had an early reservation. The staff was friendly, courteous, and took the time to ensure we were happy, despite being pulled in many directions. You wouldn't go there for the ambiance. The physical layout reminded me of an upscale cafeteria. However, the booth in which we sat was very comfortable. The chef did a first class job. All the food was very well prepared. The fingerling potatoes that accompanied my steak were outstanding. You could tell the chef put as much care into the preparation of the side dishes as he did to the entrees. The menu is limited. However, the hamburger that i had was very nicely prepared, and shoe string potatoes were fresh, hot and tednder. The service was very good. We had a number of questions about the restaurant. The waitress apparently immediatelly contacted the manager who came by to address our questions. overall the service was attentive and helpful. We have been here a few times. We love the quality of menu and culinary options offered by the chefs at this restaurant. Will continue to come back for business meetings and celebrations. Had Christmas dinner there. Amazing food, no rush, we able to enjoy the holiday. And my youngest was still able to get a hamburger, no fighting on eating. Thank you.